Students are entered for external examinations at Wilmslow High School in Summer and all will receive a ‘Statement of Entry’. The statement lists all the personal details required by an examination board for an entry to be made for that student. It also shows all the examination subjects / modules or components a student has been entered for in that season. It is essential that students check that ALL the information is correct and inform the Examinations officer immediately of any discrepancies. Before each examination series students will receive a letter detailing arrangements regarding attendance for examinations. The letter also provides information regarding the access arrangements to which a small number of students with special educational needs are entitled. Students will be issued with two copies of their examination timetable giving details of the rooms and seat numbers for each of their examinations. They are advised to pin one copy in a prominent place at home. The exam timetable also gives the students’ four digit exam number which they will need to write on each of their examination scripts. PLEASE NOTE: The “Re-sit Request Form” MUST be completed and payment made before re-sit applications will be processed. Students MUST consult their subject tutor regarding any possible re-sits. All forms MUST be signed by the Subject tutor otherwise they will not be accepted. *Students should keep a copy of their receipt as proof of their re-sit request. 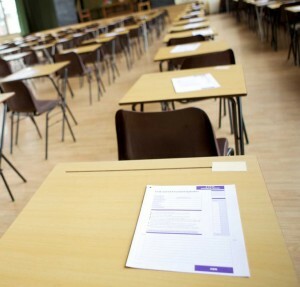 If you are a past student of Wilmslow High School and wish to apply to re-sit, please contact the Examinations office.